Tegu has a plan to create jobs and alleviate poverty in the Central American country. 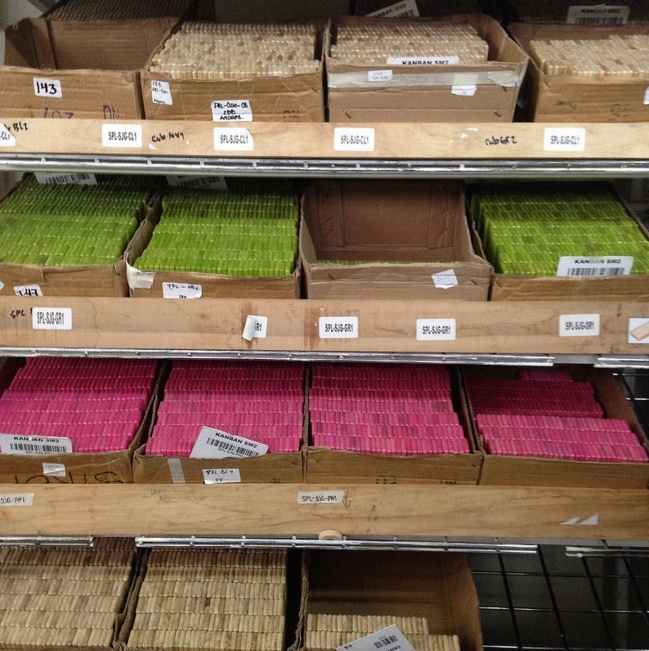 In the Tegu facility in Tegucigalpa, completed blocks lie in boxes waiting to be packaged and shipped to customers. The company hosts an annual soccer tournament for the employees and their families in Tegucigalpa. Founders Chris and Will Haughey pose with Tegu employees during an awards ceremony following the soccer tournament. A set of blocks in the recently launched Sunset palette. Another new launch, myBlockhead is a fully customizable figure that retails for only $20. Honduras may seem an unlikely place for two American brothers to start a toy company. But Chris and Will Haughey did just that, hoping to do their part to create jobs and change perceptions in the struggling country—while at the same time develop a successful company. Their brand, called Tegu, was first formed in 2009. Today, it employs over 225 Honduran workers in its facility in Tegucigalpa, as well as a small team in the U.S. (based in Darien, Connecticut). The company sells magnetic wooden blocks, now available in a wide range of sets and colors, and has ramped up production with the recent addition of a second daily shift cycle. Now, over 40,000 blocks are produced each day in the factory. The founders describe the country’s unstable labor environment, and say that turnover is common. But they hope by creating a steady workplace with room for growth, along with perks such as private healthcare and a company-funded soccer team, Tegu will become one of the country’s most desirable places to work. Sustainable harvestry is another priority. Tegu only works with suppliers that it can confirm work sustainably. “We think it’s the right thing to do, and it also provides a differentiated example for the region,” Chris says. “Honduras has had a long history of illegal logging, or even if it’s legal, not very sustainable logging. We’re trying to provide an increasingly high-profile example, right in the heart of Central America, of how you can access the forest, cultivate this resource, but do it in a way that’s sustainable in the long term.” Tegu also partners with an NGO, Trees for the Future, that does reforestation work in the country. While the brand’s mission has a clear philanthropic bent, the founders are quick to point out that they are for-profit. They hope to eventually reach a mass scale and become a household name. The company promotes a concept called Boundless Play, which claims that imagination-driven play time, aided by blocks, is more beneficial to kids than more restricted activities. Tegu's blocks, embedded with magnets through a patented process, not only encourage unstructured play, but are also an attractive option that's suited for modern households. The blocks, designed by Nate Lau, come in natural shades and pastel colors, a far cry from the primary shades most often seen in toy stores. The main material—wood—is always identifiable in the blocks, serving as a reminder of Tegu's Central American roots and the resource that first brought the founders to Honduras.